Manheim, PA – B.R. Kreider & Son, Inc., an excavating, paving and site management company based in Manheim, PA, recently announced the acquisition of Morrison Excavating in Quarryville, PA.
B.R. Kreider & Son, Inc. will operate out of Morrison Excavating’s Quarryville location, according to Brent Kreider, President of B.R. 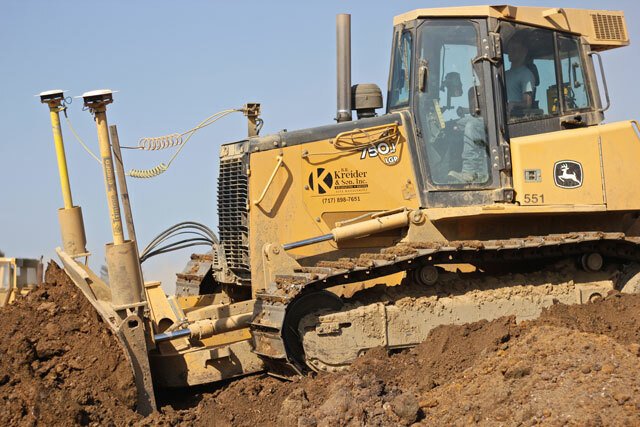 Kreider & Son, Inc.
Morrison Excavating has been serving customers in Lancaster, York and Chester counties as well as northern Maryland for over 30 years. In 2005, Morrison Excavating was under the direction of Blake and Mitch Huber, with one other employee. Today, the business under the Hubers’ leadership has grown to more than 20 employees. For the Hubers, B.R. Kreider & Son provides expanded capabilities for current and future clients. Founded in 1936, B.R. 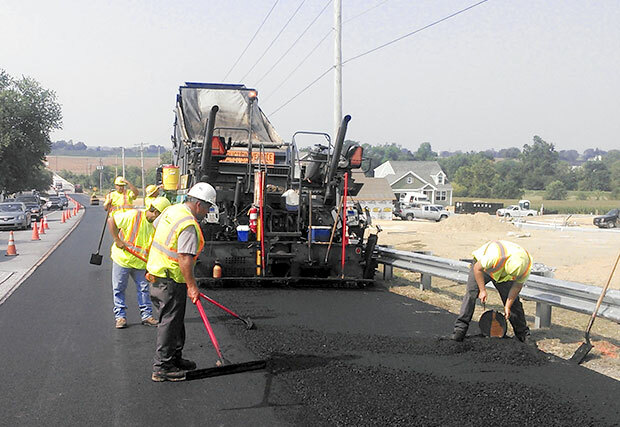 Kreider & Son, Inc. continues to provide a small company feel while growing into a premier excavation and paving company in Central Pennsylvania with more than 200 employees. Manheim, PA – B.R. Kreider & Son, Inc., an excavating, paving and site management company based in Manheim, PA, recently announced that Jason Groff has been appointed Director of Safety & Education and has joined the company’s Executive Management Team. Groff joined B.R. Kreider & Son in 2012. Prior to being named Director of Safety & Education, Groff served as Safety Director within the company. A Conestoga Valley High School and Lancaster County Career & Technology Center graduate, Groff earned his Construction Health and Safety Technician (CHST) and Safety Trained Supervisor- Construction (STSC) designations from the Board of Certified Safety Professionals. Manheim, PA – B.R. Kreider & Son, Inc., an excavating, paving and site management company based in Manheim, PA, recently announced that Heidi Hollinger has been appointed Human Resource Manager. Part of the fourth generation leadership group of the family-owned business along with Brent Kreider and Courtney Dougherty, Hollinger joined B.R. Kreider & Son in 1999 as a Safety Director in the Operations Department. Prior to being named Human Resource Manager, Hollinger also served as Executive Assistant and Human Resource Assistant within the company. A Manheim Central High School graduate, Hollinger earned a Bachelor of Science degree in Business Administration with a Human Resource concentration from Lebanon Valley College in 1999. Hollinger is a member of Lititz Mennonite Church and she and her husband, Jonathan, and their three children reside in Manheim, PA.
B.R. Kreider & Son, Inc., an excavating, paving and site management company based in Manheim, PA, recently announced the retirement of Linda Kreider, Director of Human Resources. Kreider joined the company in 1977 with the responsibilities of payroll, employee benefits and equipment recordkeeping. Later promoted to Director of Human Resources, Kreider oversaw HR compliance, recruitment, payroll and employee benefits. In addition, she is a member of B.R. Kreider & Son’s Wellness Committee and Employment Committee. A director on the Lancaster County Career and Technology Foundation Board, Kreider also serves on the Executive Committee as Secretary. Krieder has also held membership in the Lancaster Society for HR Management and the National Society for HR Management. She formerly served as a member of the Occupational Advisory Committee at the Lancaster County Career and Technology Center. In addition, Kreider served as a director on the Lancaster County Workforce Investment Board, including a role as chairperson (2006-2008). Kreider was also a PAI Board member prior to the organization’s name change to Excentia. In 2014, Kreider was a recipient of Central Penn Business Journal’s Women of Influence Award. Kreider graduated from Manheim Central High School and attended Millersville University. She attends Manheim Brethren In Christ and she and her husband, Jim, reside in Manheim, PA.
B.R. Kreider & Son, Inc., an excavating, paving and site management company based in Manheim, PA, recently announced the retirement of Carol Buchen, Senior Consultant and previous Director of Marketing. Buchen will continue to serve as Advisor to B.R. Kreider & Son’s Board of Directors. Part of the third generation leadership team of the family-owned business started by her grandfather, B.R. Kreider, Buchen joined the company in 1973 as an Assistant Processing Payroll, Accounts Receivable and Accounts Payable as well as Bookkeeper for Pin Oak Service Center. In 2001, Buchen moved into her formal role as Director of Marketing, a position she held until 2013 when she transitioned to a part-time marketing role while remaining an Advisor to the Board of Directors and serving as a Senior Consultant. Buchen is a former Board Member of Pleasant View Retirement Community and past co-chair of the Campaign Steering Committee for the PVRC Health and Wellness Center. Buchen graduated from Hempfield High School and she and her husband, Burnell, reside in Lititz, PA.
Manheim, PA – B.R. Kreider & Son, Inc., an excavating, paving and site management company based in Manheim, PA, recently recognized Michelle Weidler, Executive Assistant, with the 2017 B.R. Kreider Core Value Award. The award is presented to the employee who best represents the seven core values of the company; Safety (a commitment to the best safety practices), Integrity (always doing things the right way), Collaboration (encouraging positive relationships), Quality (providing premium service with the utmost care), Innovation (finding new and better ways to provide great service and value), Servant (do unto others as you would have them do unto you) and Stewardship (sharing time and talents with the community). Weidler was one of three finalists for the award joining nominees Dave Dohner and Bryan Zwaska. Weidler, Dohner and Zwaska were all nominated by fellow employees. A resident of Palmyra, PA, Weidler joined B.R. Kreider & Son in 2002.